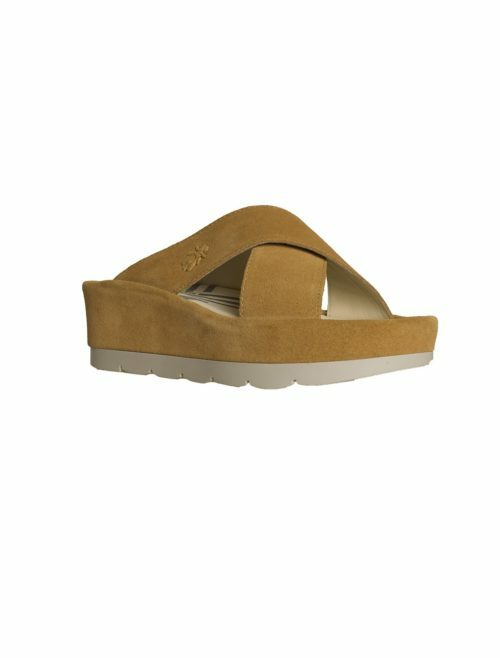 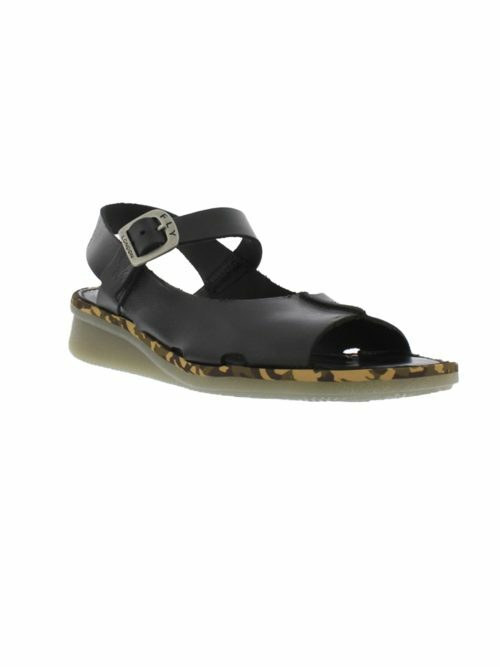 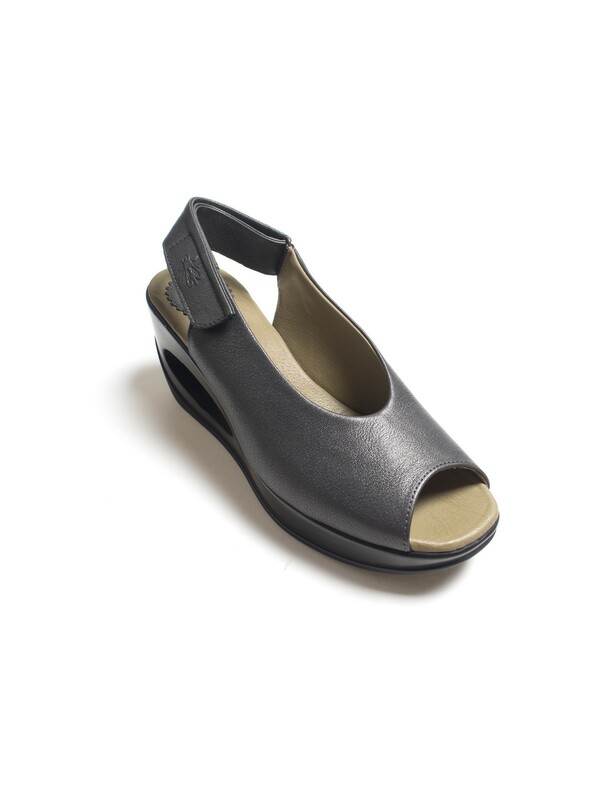 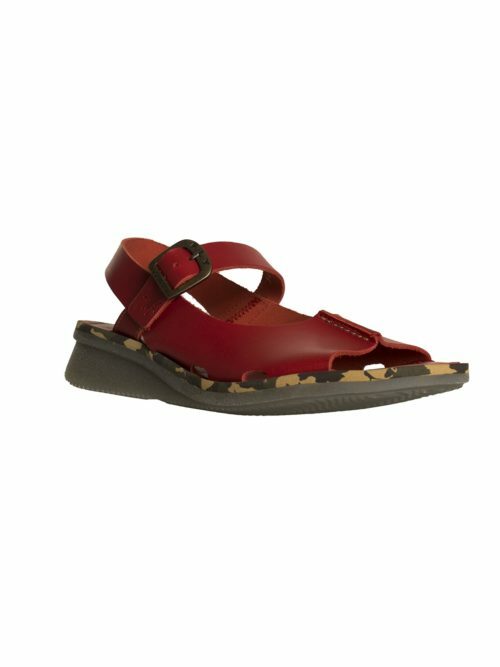 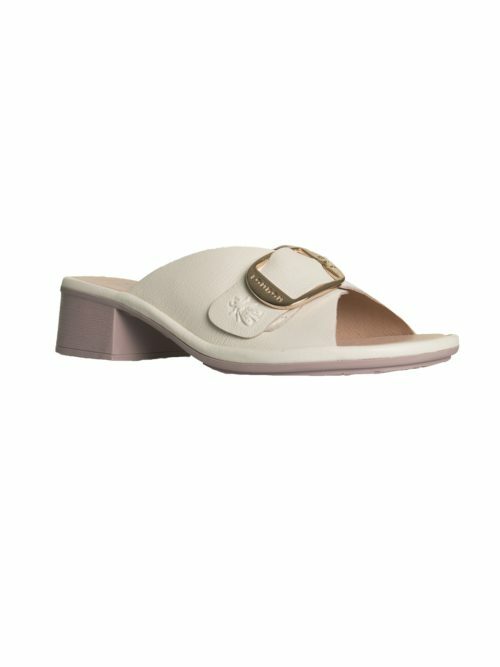 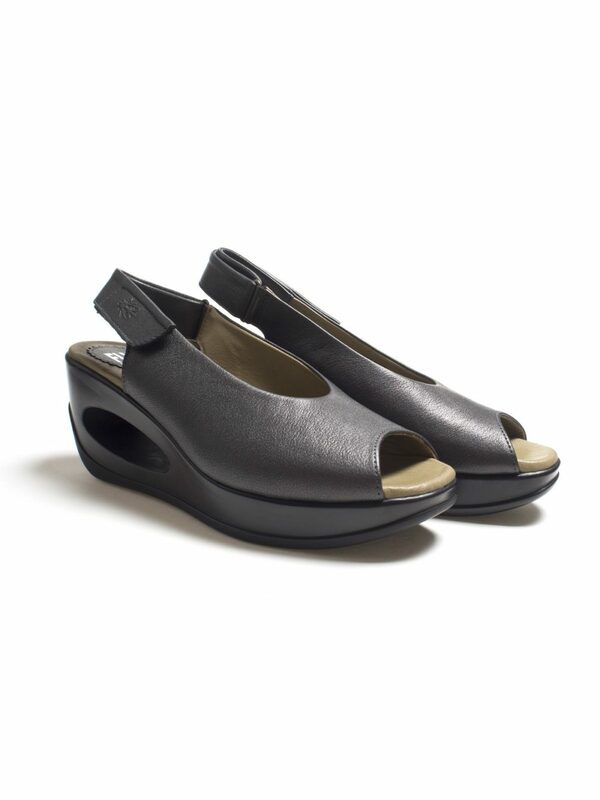 Subtle Fly London sandals in a bronze grey toned leather on a comfortable wedge is a great piece for this spring. 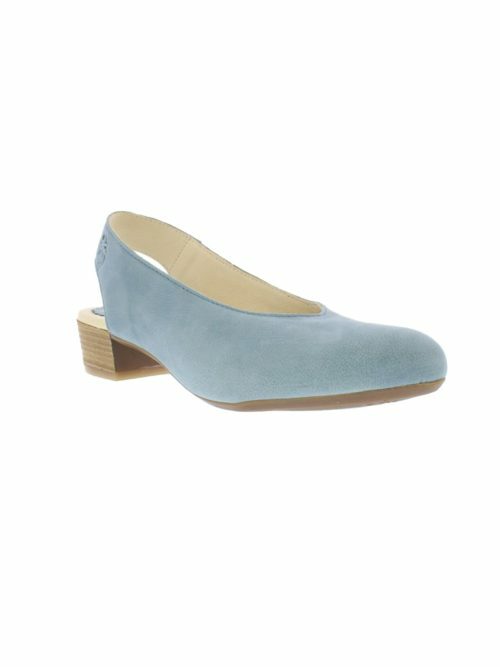 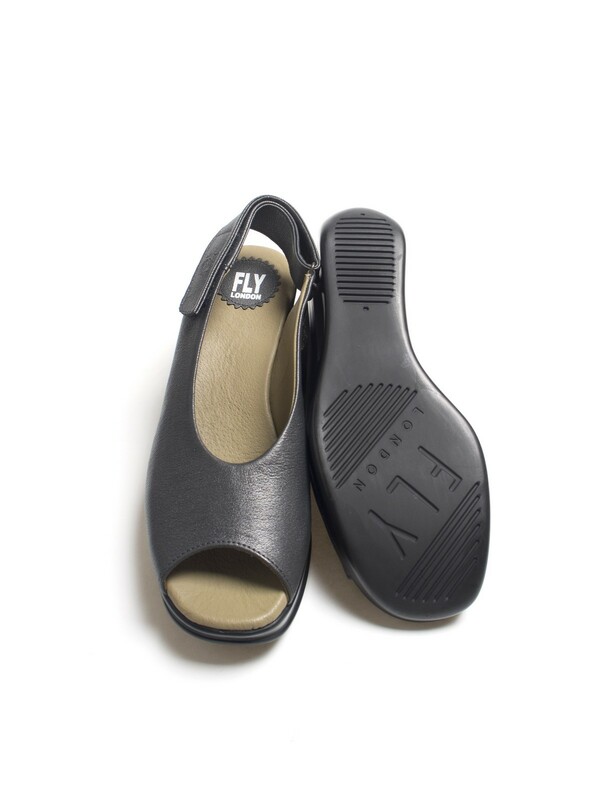 These lovely Fly London shoes in dark graphite grey have a fabulous cut out detail in the wedge heel and a peep toe making them a stylish and easy to wear summer shoe. 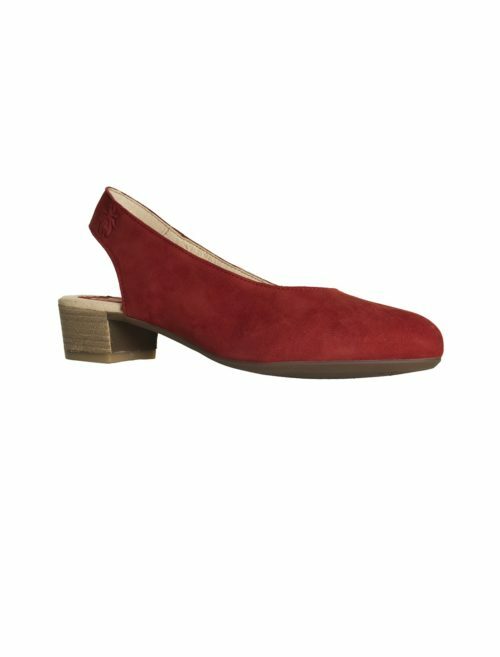 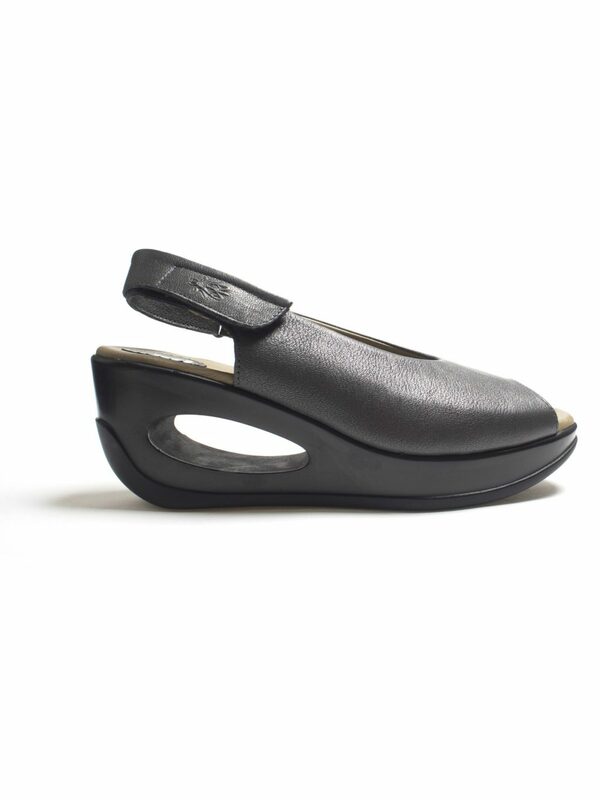 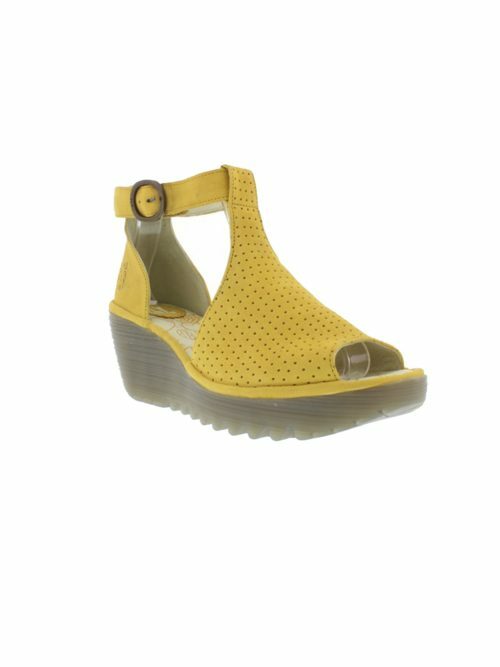 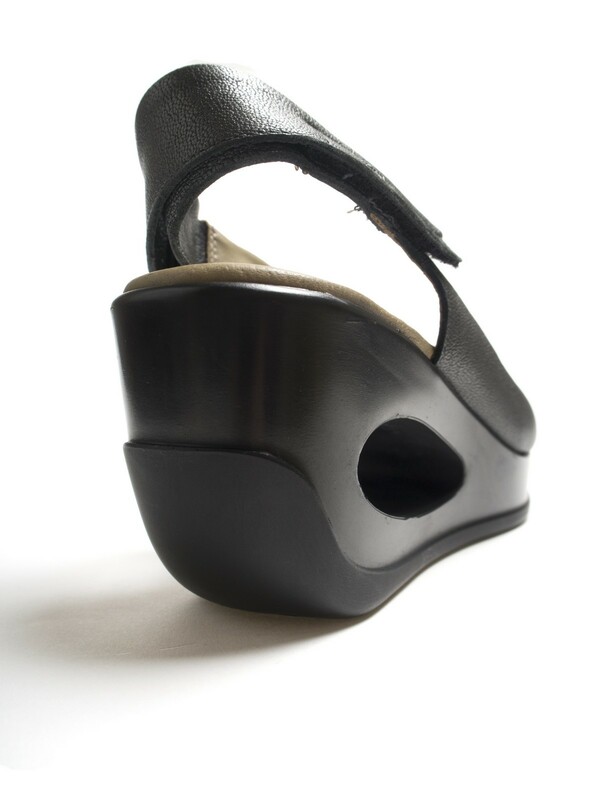 The sling back has a velcro fastening making it quick and easy to fasten and adjust. 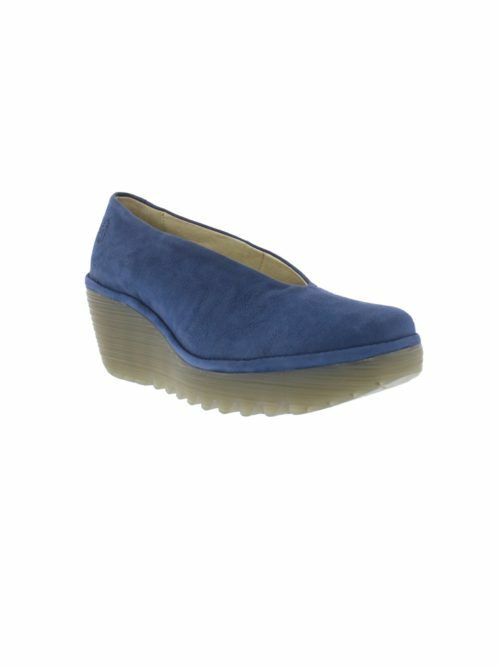 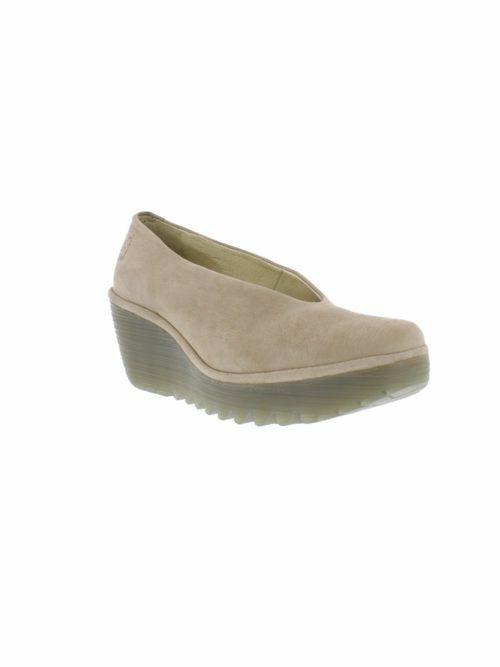 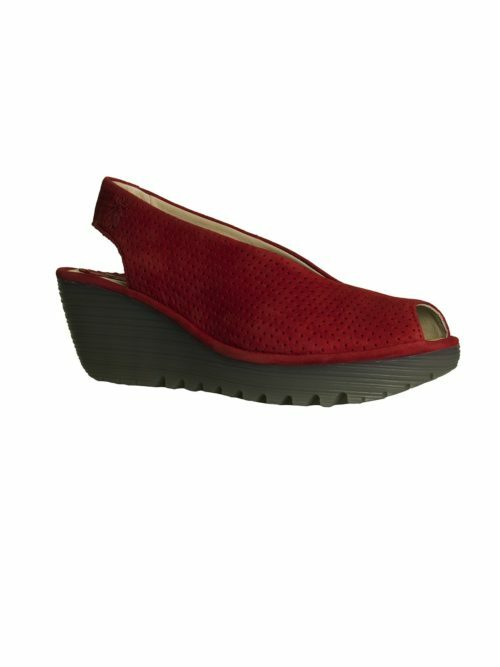 The platform sole and wedge give some height to the shoe but also make it very comfortable to wear all day long.